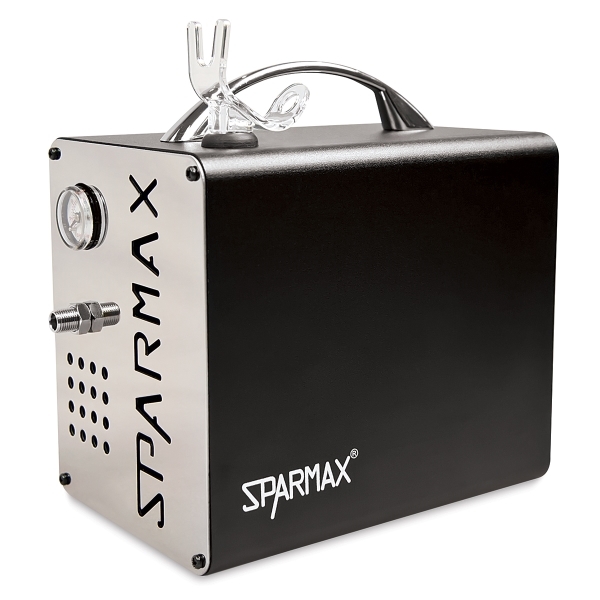 With it's compact size and modern look, the Sparmax AC-66HX Arism Compressor combines world-class performance, portability, and reliability in one sleek package. It features a zero-maintenance, oil-less piston engine capable of putting out 13–15 Liters of airflow per minute at up to 35 PSI. Sparmax's exclusive Silver Bullet moisture trap does a great job of reducing moisture in the air output. A built-in airbrush holder and 6 ft braided air hose with standard 1/8" connections are included.